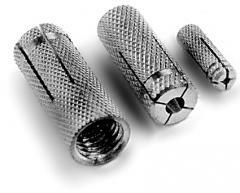 The anchor with a female thread and a cone-shaped wedge is intended for fastening of materials and the equipment to concrete, a stone or a brick. 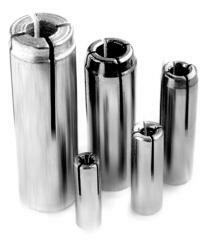 It is established in previously drilled opening corresponding to its diameter and length. It is applied to installation of designs and the equipment such as laths, consoles, guides, balustrades, metal blocks, sections, racks, protections, etc. The expansion element in an anchor has the form of the truncated cone. It is made of qualitative brass. 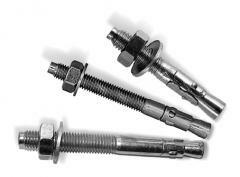 The anchor bolt is intended for fastening of heavy designs. 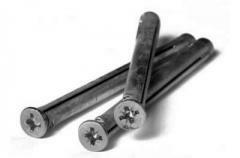 The cone steel with a carving is made of the steel plug and a steel bolt, with an electrodeposited zinc coating of yellow color. 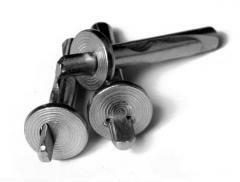 Cuts in expansion part guarantee reliable anchoring and uniform distribution of forces. Maple the anchor is used for fastening of the heavy equipment to concrete, a stone. Through installation. 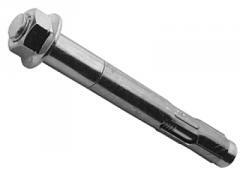 The anchor is hammered with the hammer into previously drilled opening in the attached material and a concrete/stone, and then drags on a nut. The anchor wedge is intended for fast fastening in type materials: concrete, natural stone, corpulent brick of metal details, profiles, levels, false ceilings, etc. 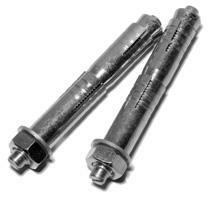 Unbelievable price on Anchor bolts in Kiev (Ukraine) company Kros Ltd, OOO. Wide choice of quality products at affordable prices.